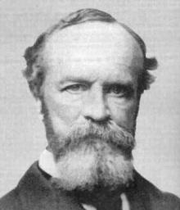 William James was an earlier adherent to meliorism as a halfway between metaphysical optimism and pessimism. This article is about the philosophical concept. For the Italian political concept, see Meliorism (politics). Meliorism is an idea in metaphysical thinking holding that progress is a real concept leading to an improvement of the world. It holds that humans can, through their interference with processes that would otherwise be natural, produce an outcome which is an improvement over the aforementioned natural one. Meliorism, as a conception of the person and society, is at the foundation of contemporary liberal democracy and human rights and is a basic component of liberalism. Another important understanding of the meliorist tradition comes from the American Pragmatic tradition. One can read about it in the works of Lester Frank Ward, William James, and John Dewey. In James' works, however, meliorism does not pinpoint to progressivism and/or optimism. For James  meliorism stands in the middle between optimism and pessimism, and treats the salvation of the world as a probability, rather certainty or impossibility. Meliorism has also been used by Arthur Caplan to describe positions in bioethics that are in favor of ameliorating conditions which cause suffering, even if the conditions have long existed (e.g. being in favor of cures for common diseases, being in favor of serious anti-aging therapies as they are developed). A closely related concept discussed by Jean-Jacques Rousseau and Marquis de Condorcet is that of perfectibility of man. Condorcet's statement, "Such is the object of the work I have undertaken; the result of which will be to show, from reasoning and from facts, that no bounds have been fixed to the improvement of the human faculties; that the perfectibility of man is absolutely indefinite; that the progress of this perfectibility, henceforth above the controul of every power that would impede it, has no other limit than the duration of the globe upon which nature has placed us." anticipates James' meliorism. Rousseau's treatment is somewhat weaker. ^ Shaver, S. (July 1996). T. Eardly (ed.). "Liberalism, gender and social policy" (PDF). Social Policy Research Centre. Wikisource has the text of the 1911 Encyclopædia Britannica article Meliorism. This page was last edited on 8 February 2019, at 22:59 (UTC).